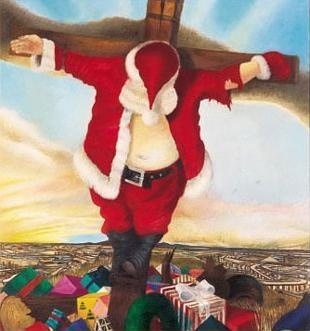 The real reason for the season? Now don’t get angry. Don’t shoot the messenger and don’t stop reading. Someone has to tell the truth about the reason for the season. We hear this phrase all the time and it resonates throughout this time of year. This should be a happy time and I’m not trying to steal anyone’s joy. If you feel closer to God during this time of the year, that’s great news. And there is nothing wrong with that. Anything that can come from this national pastime that makes people even have a discussion about God is great. With that said, many of us already know that the Holy Bible does not mention when Jesus was born. There are clues like the shepherds watching over their flocks by night. Clearly harvest time had not come yet and that would be sometime in October on our calendars. But Jesus was not born on Dec. 25. In fact, there is really nothing holy about this holiday at all. Moreover, there isn’t anything holy about any of them. Now, don’t take my word for it. Research it for yourself. Below I have listed an overview of the history of Christmas from the website http://www.historyofchristmas.com if you are so inclined. So the reason for this season has more to do with your wallet than your bible — and I’m not talking about tithing! Which did you do? Did you spend more money for the cause of Christ this season or did you make our retail industry proud? Well, it’s your choice anyway, but if you really want to remember something, remember this: God so loved the world that he gave his only begotten son, that whosoever believes on him shall not perish, but have everlasting life. Celebrate everyday that Jesus died, was buried and rose again on the third day. Spend your life — not a season — remembering what matters most: Not that he was born, but that he died so we could be reconciled back to God and that he lived so we could be saved. Remember that he said, “he who believes and is baptized shall be saved.” Respect his words and follow him … And give Christmas to Santa and the rest of the media. Be at peace all year long my friends and show love the same way. 1897: Francis P Church, Editor of the New York Sun, wrote an editorial in response to a letter from an eight year-old girl, Virginia O’Hanlon. She had written the paper asking whether there really was a Santa Claus. It has become known as the “Yes, Virginia, there is a Santa Claus” letter. 1920’s: The image of Santa had been standardized to portray a bearded, over-weight, jolly man dressed in a red suit with white trim. 1939 Copywriter Robert L. May of the Montgomery Ward Company created a poem about Rudolph, the ninth reindeer. May had been “often taunted as a child for being shy, small and slight.” He created an ostracized reindeer with a shiny red nose who became a hero one foggy Christmas eve. Santa was part-way through deliveries when the visibility started to degenerate. Santa added Rudolph to his team of reindeer to help illuminate the path. A copy of the poem was given free to Montgomery Ward customers. Hey Clyde, you have it right. This is unique time of year because of the combination of all these customs with a few religious beliefs thrown in. Because of that, it is a time of joy and generosity, but we should never forget the real gift–the hope of eternal life for those who obey the Gospel. Preach on!